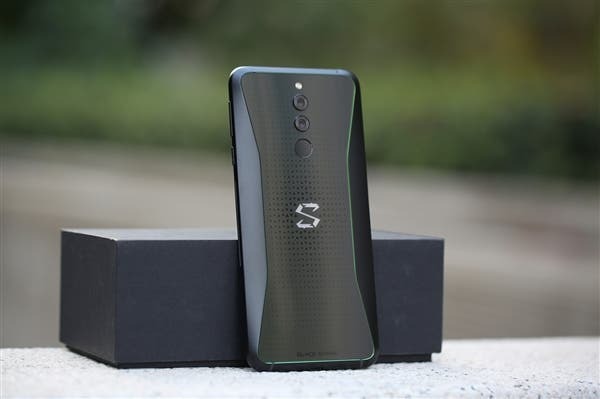 If you’re waiting for the next iteration of Xiaomi’s Black Shark gaming phone, you’ll be happy to know that the company is already hard at work preparing a suitable and befitting sequel to the Black Shark Hello. 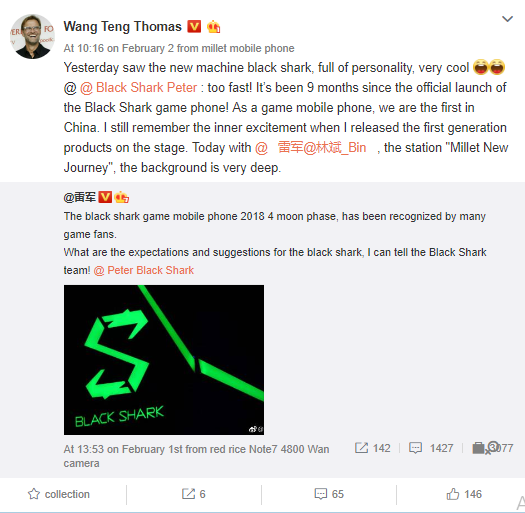 While it isn’t surprising to know that a gaming phone from Xiaomi will arrive later this year, the company’s product director Wang Teng Thomas in a Weibo post over the weekend sought to know what users expect of the next Blackshark phone, the post got the attention of the company’s CEO Lei Jun who shared the post with the claims he had seen the next Black Shark gaming phone. He didn’t confirm the name or a release date for the upcoming Blackshark phone, but there are speculations the phone in question could be the Black Shark Skywalker that made it through Geekebnch about a month ago. According to the Geekbench, the Black Shark Skywalker will be powered by a Snapdragon 855 chipset but it is not clear if this device will launch as the Black Shark skywalker or the Black shark 2. The Black Shark Skywalker was listed with the term “msmnile” which is the codenamed for Snapdragon 855 SoC. The listing suggests the so-called Black Shark Skywalker is tipped to come with 8GB RAM, but there are chances it will get a variant with as much as 10GB and 256GB storage. More details about the BlackShark device should begin to creep in soon.